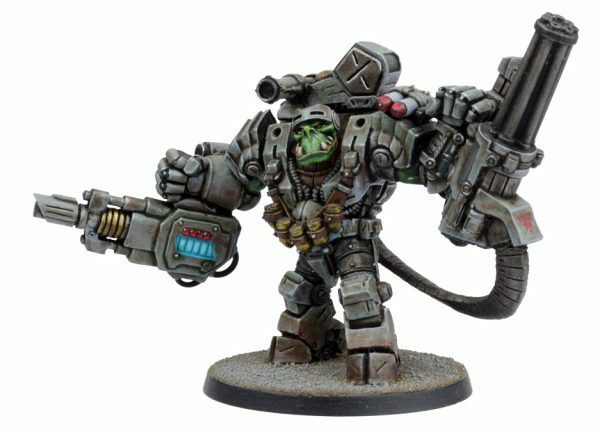 This year’s Deadzone summer campaign has started, but it’s not too late to choose your Deadzone force with this faction focus from Mantic. The Marauders are ready to fight anyone and anything. These green skins are mean fighting machines that will mash their enemies into a pulp with a smile. Their foes tend to think they’re dumb, but they are far from it. The range has a lot of options – the fast Mawbeast that can snap up objectives, and Ripper Rainmakers can easily deal with what the enemy throws at them. They’re also beastly in close combat with Maulers and Rippers that can do major damage. Add some fire power with a Strider-sized HEW Cannon and you’ve got a force that can take out just about anything. Since their earliest encounters with Orcs, humans have consistently underestimated their kind. Brutish and bestial in appearance, with tough hide, sloping brows and oversized teeth, it is tempting to dismiss them as simple barbarian savages. In actual fact, Orcs are possessed of a cunning intelligence, able to learn new skills quickly and adapt their tactics dependent on the foe they faced. 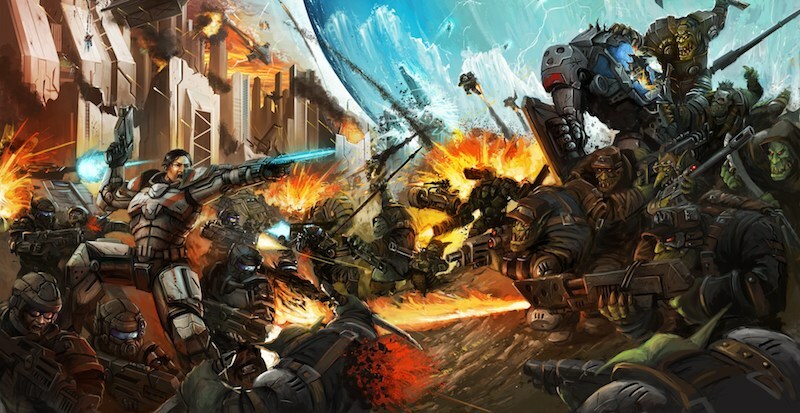 The first Corporate encounter with them on one of their many homeworlds ended in massacre. Ever pragmatic, the Council elected to make use of these creatures for its own ends, offering them the opportunity to work for the GCPS as mercenaries. The Orcs, for their part, were happy enough to fight anyone at all if there was a reward in it for them, and thus the Marauders came to be. Since the cataclysmic event known as the Mandrake Rebellion, Marauders have been replaced in the employ of the Council by the Enforcers. The Mandrake wars caused the Marauders to scatter to distant corners of the galaxy, gathering in small bands to operate as mercenary rogues, a tradition they continue to this day. Whether the Marauders encountered in the present day are the same ones who fought for the Council in days gone by, or their descendants, or simply Orcs trained as mercenaries, nobody knows for sure. As ever, they are happy to fight for everyone, from aliens to less ethical corporations and occasionally just themselves. Some of them will be in a Deadzone for the loot, some on commission from a Corp looking to steal a march on its rivals, and some just for the heck of it. Whatever their reasoning, underestimating them is generally the first and last mistake that any enemy is given the opportunity to make. Sound like the faction for you? 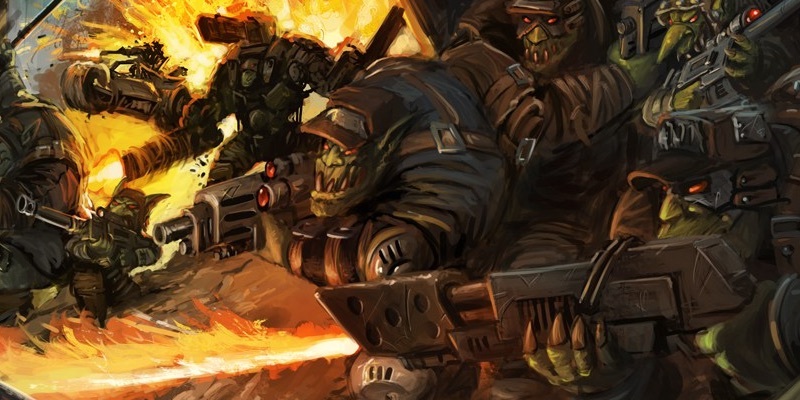 Get the core units you need plus three Goblin Snipers, four Mawbeasts, a Ripper Rainmaker, and Mauler in the Marauder Faction Booster. 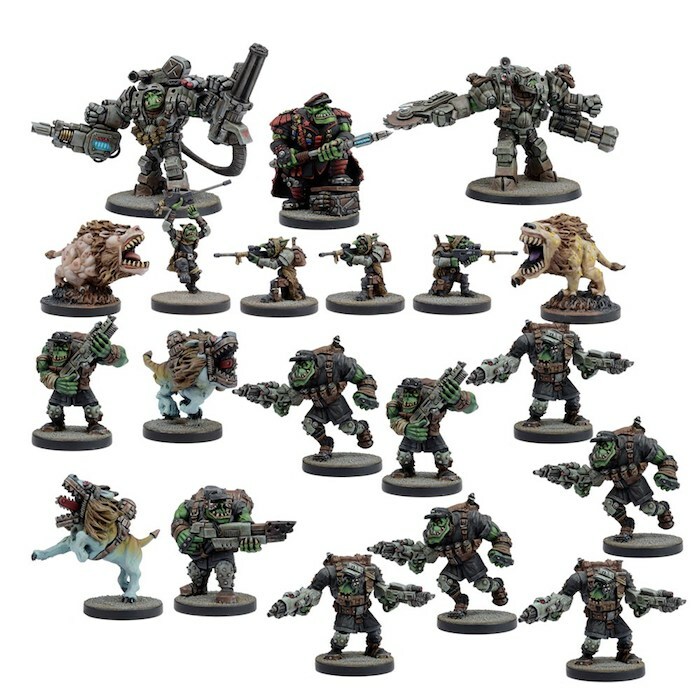 It has everything you need to play Deadzone or start a campaign army.